mogen Most likely much too small. But they should be perfect or acceptable for 5 inch scale Irwin/Jakks collections!!! I'm not very happy about Adverge EX kid Piccolo's size or quality. These are not nearly as high quality as their promo pics imply, even though the symbol on his outfit is flawless. These aren't at WCF quality, and should not be close to or at WCF prices. The antennas are not inserted precisely... there's a casting line on the arm you can see... the head doesn't turn which is a shame for the price... and the eyes are not sculpted in, they are just spray painted on. And the size... the size is too small for my super perfectionistic collection. ssj2dakota told me he'd probably buy this from me. I should probably note, regarding my previous post, that as far as I know you're guaranteed to get one copy of every type per box - but I did only start getting them after it appears they stopped doing secret variants for now (like Super Saiyan 2 Gohan before). Zeno is a rare case where I'd actually want a second copy of the exact same thing. Previously, I wondered if they'd come up with excuses to redo the old figures, since the quality difference between the first three sets and the post-4 ones are not insignificant. They were already starting on the Androids' new outfits and it seems this is their answer for Bardock. Also, the extra one in Adverge 6 this March that was being obscured before has been revealed, and it's You Know What Goku. I actually figured it would be Super Saiyan Bluer Vegeta since they're covering him this volume, so I'm kind of impressed. I should probably note, regarding my previous post, that as far as I know you're guaranteed to get one copy of every type per box - but I did only start getting them after it appears they stopped doing secret variants for now (like Super Saiyan 2 Gohan before). Xeno is a rare case where I'd actually want a second copy of the exact same thing. kicksville what an awesome post! The site you linked to sure has great pics. crimsonking7 these figures are small. 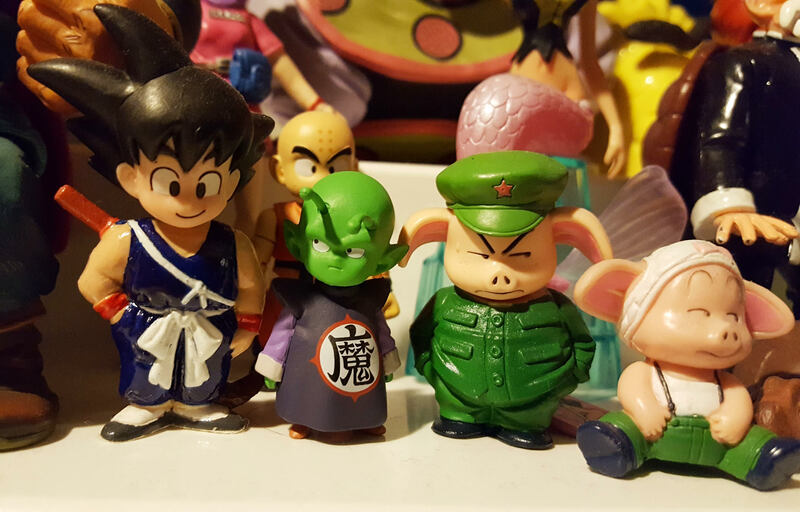 As you can see in my pics above, little kid Piccolo has a head that's 4.5 inch scale and a body that is pretty small. I think he's 38 mm tall. Bee will end up being absolutely tiny. Maybe 20 mm tall. Cool post Branjita, very cool. It's been ages since I've seen you post such pictures where so many figures are standing together. Reminds me of your custom comparison pictures. I miss them and thank you for the pictures. 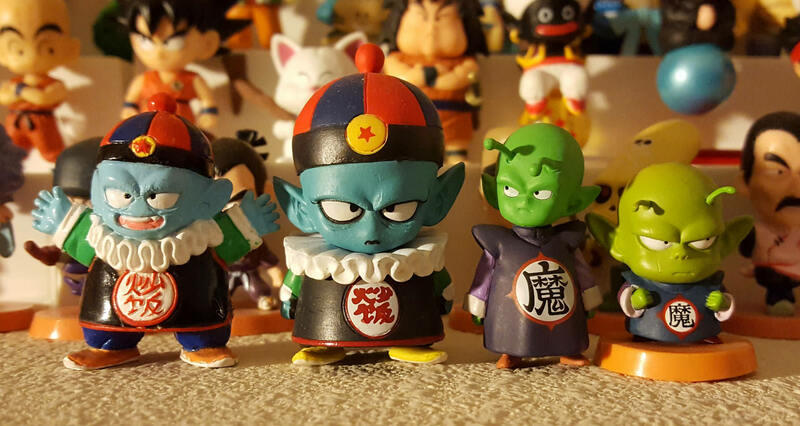 I'm interested in getting this kid Piccolo as I've been wanting one for a very long time. They would have looked better if they were released in the wcf line but gotta be happy with something rather than nothing at all. Dragon Ball Adverge is a cool line. 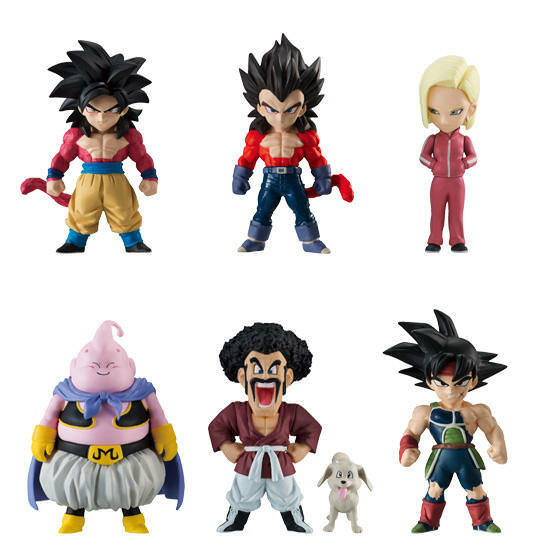 I'm just happy to see so many different figures from different brands for everything Dragon Ball related getting introduced, it just gives us so many options to choose from to fill in the gaps in the collection both scale and monetary wise. Does anyone know how to do head enlargements I like the Janemba but the head is too small. So here's Adverge 8, out in September. And here's the Bandai Candy Toy blog with some bigger images (you have to scroll down past the Dragon Children Vol 2 stuff). There's a Nappa variant with hair from the Bardock special. 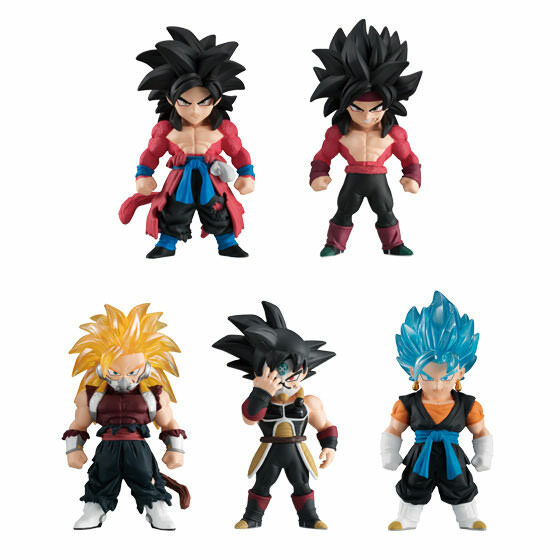 I'm not sure I'm crazy about the different poses since I generally prefer static line ups with these figures, but I can understand wanting not to have too many samey Gokus while...still working Goku into there as often as possible. He sells! Li-Shenlong looks great. Nappa with hair is unexpected.. but awesome! Based on this pic (and me holding kid Piccolo next to SBC Gogeta in real life) the Gogeta adverge figure's head is about Real Works size, so it's not suitable for a 5 inch scale figure. Lame! 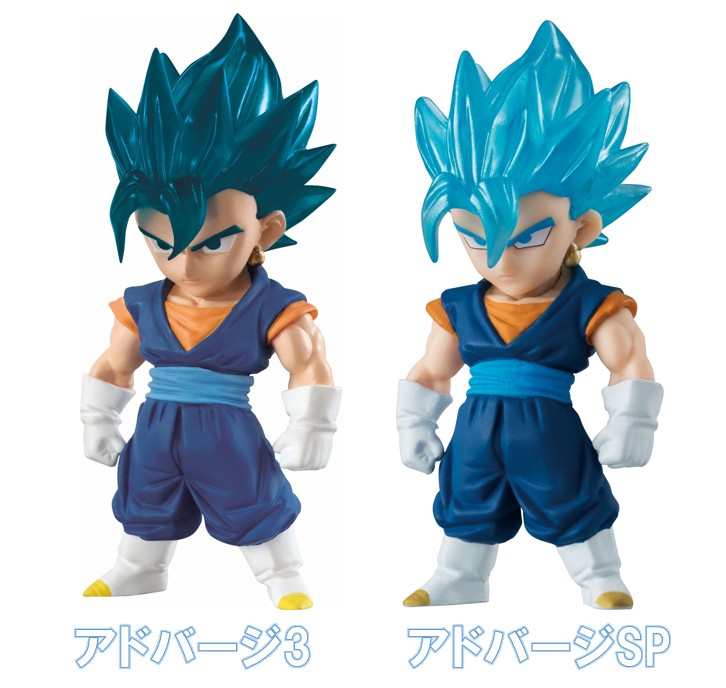 So I was wondering before if we'd get redone versions of earlier figures, given the drastic quality upgrade from Adverge 4, and it seems that is already happening with the Dragon Ball Adverge SP - LEGEND OF GOKOU & VEGETA set, coming out in August. This is actually the month before Adverge 8. So that's a new redo of Super Saiyan Goku, Super Saiyan Vegeta, SSB Vegito and the first normal Vegito. 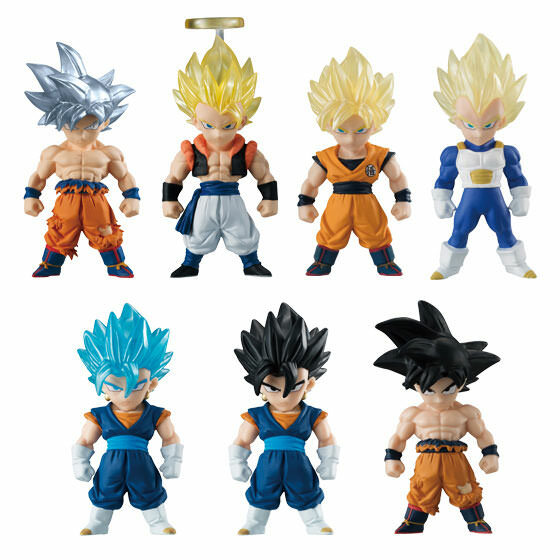 The shirtless Goku variant is new. The Ultra Instict Goku and Gogeta seem to be straight up reprints from Adverge 6, which is the one that came out in March. There are larger images and comparisons to the respective older versions on the candy toy blog once again. I wonder if this is a sign the line is doing well. Hey, if you have the old Vegito, you can pretend he's in Vegeta's new Super Saiyan Bluer form! Really packing the schedule (making up for last year?? 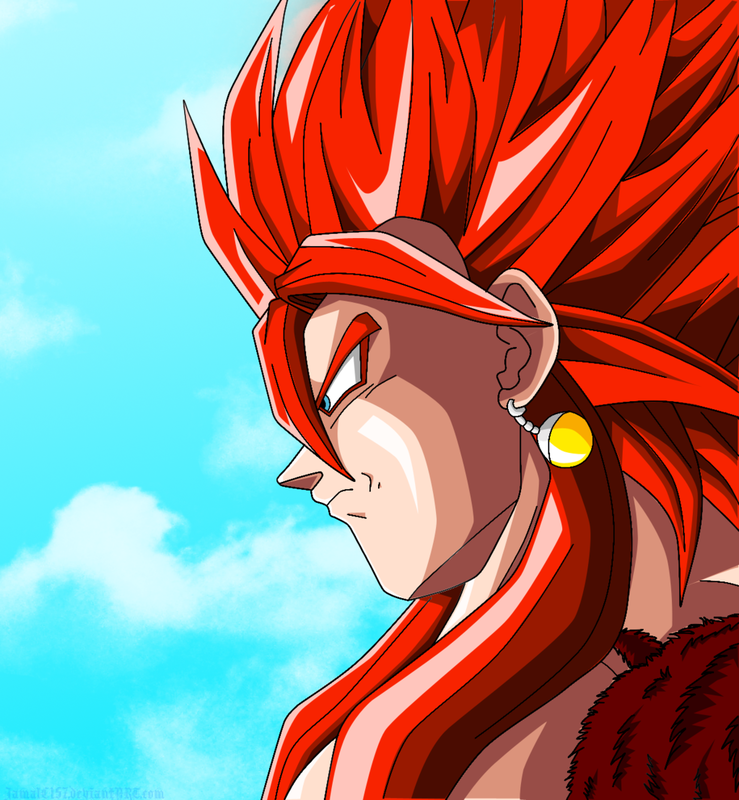 ), there's yet another release of another spin off, Super Dragon Ball Heroes Adverge. I think that top right character is named Barlot. Assorted according to maker's rate from 6 types. The lineup includes characters who show up in the new Dragon Ball movie "Super Saiyan Broly Full Power"! No surprise there, and good timing of course. To begin with, here's our first images. Much like the previous installment that contained perfect Ultra Instinct Goku and was announced before he premiered, they blotted out probable spoiler characters. Now the other thing worth noting is, it seems the full title of this installment is now Dragon Ball Adverge 9 MOVIE SPECIAL, and there's also another version listed: A MOVIE SPECIAL set. 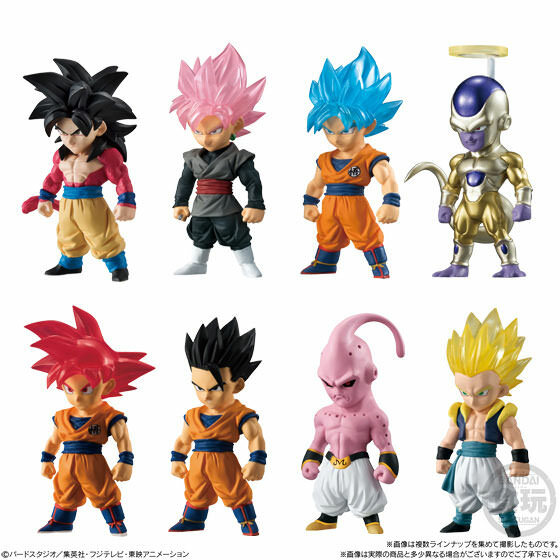 The difference is, the regular box contains 10 figures as usual, and retails for 5,400 JPY. The MOVIE SPECIAL Set contains 6 figures, and only goes for 3,240 JPY. 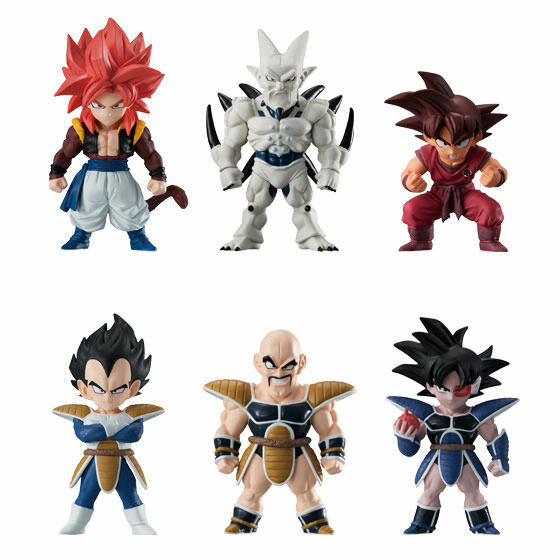 Information indicates there are only 6 figure types, so...is the Set all six unique figures for less? I haven't seen anything confirming this, but since both listings have the same images, it sure looks like that's probably why. AmiAmi has these each for slightly cheaper as usual, at 4,200 JPY and 2,590JPY. If that's true, I sure hope it becomes the norm going forward, since uhhh, saving money is nice. I wonder if it has anything to do with how they've been selling box sets of some of their Gashapon products lately, with all variants and no extra repeats. 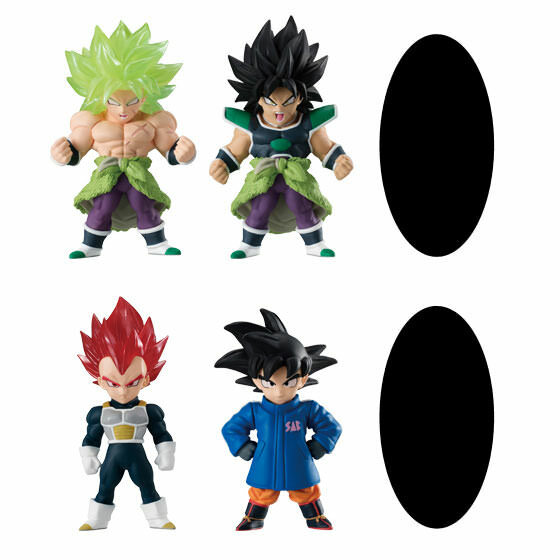 I would suspect that one of the figures will be Vegeta wearing that green trenchcoat. Not sure what to say about the future installments. I guess we'll just have to wait and see! There's yet another release coming up here in January, called SP2 - it is basically mostly a re-release set, with 8 figures total (a high amount for these), so if you missed these at a reasonable price before, this may be a good second chance. This seems to be the way they'll be slipping in the "fixed" versions of previous figures (see my post from before about that), as the one new one here is an improved Super Saiyan Gotenks. Oddly the base form isn't here, and with the high amount of types I doubt it's a secret variant, so I guess we'll get that later. I am curious if there's any changes to Super Buu, although it doesn't look that way - the "monster" characters didn't really have the same eyes issues as the Saiyans, so not really neccessary. 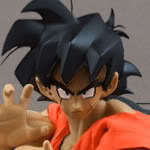 Does anybody know if you can use this adverse heads on figuarts bodies? At least someone who owns it?